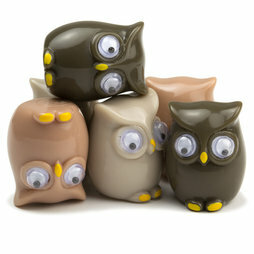 These magnetic owls keep an eye on your appointment cards on your fridge or magnetic board. Thanks to the strong magnet on the backside, the owls can hold dup to 7 A4 sheets of paper. The owls make for a beautiful gift - not just because of the themed packaging. Delivery in a set of 6.